Window films offer privacy while still allowing daylight to enter – perfect for rooms that need a friendly and bright ambience but don’t need people looking in. The apparent contradiction is resolved by exploiting the possibilities of modern film technology. The options are translucent glass films or glass decoration films. Their areas of application are varied: office units separated by glass walls, meeting rooms, medical examination rooms in doctors’ surgeries and hospitals, or in the sanitary field. Make use of the possibilities that window films offer: privacy, decoration, advertising, and for labelling and laminating glass surfaces. Find out more about other techniques, such as digital printing and decals. Let us advise you personally. Together we will find out how your plans can be best realised. In the retail industry, window films are perfect for ensuring privacy during restructuring work. 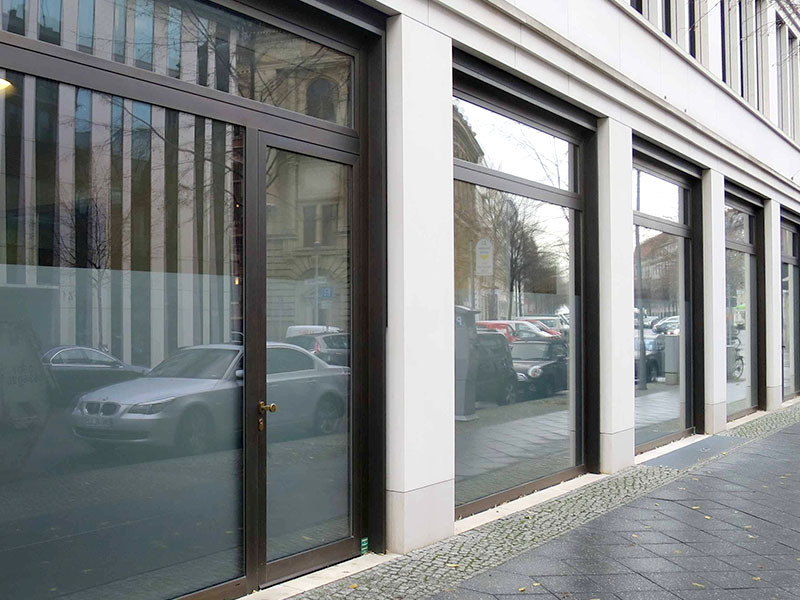 Large surfaces such as shop windows pose no problem. Passers-by do not need to see each dusty detail of the restructuring, and your competitors do not need to be kept up to date with your every step. 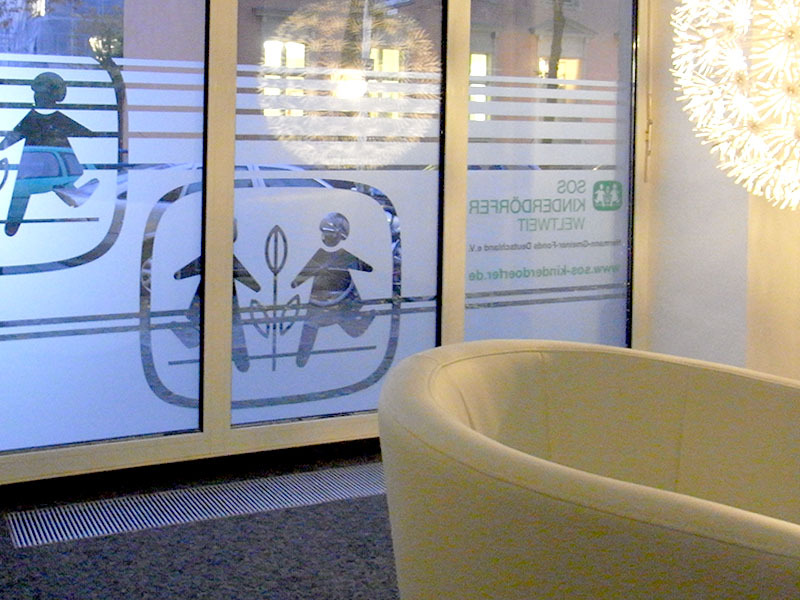 The privacy of window films enables you to fine-tune your presence before the public opening. It is important that there are no reminders of the lamination left behind at the reopening. Temporary films use a removable adhesive. This means that translucent glass films, as well as colourful films, can be affixed to all kinds of glass surfaces and then be removed – even years later – without leaving behind any residue. Window films for privacy are functional, but also look good at the same time. They are also suitable for decorating glass surfaces with motifs, cut patterns or stripes as well as artistic concepts. The creative possibilities are limitless. The films can also be used as decorative labelling for shop windows, for example with daily offers. Of course, it is not only special window films that offer privacy. There are other options too. How about large-format digital printing or lamination in white with your company logo? Or perhaps you prefer a clear view for yourself but not for others looking in? In this case a laser-perforated window film with digital printing would be what you need. This kind of film offers a clear view of the outside world while all passers-by can see is your desired motif. Physical wellbeing suffers with the effects of the sun, heat and glare, particularly in the summer months. In addition, the use of air conditioning systems comes with high energy costs. Our sun protection films are an effective alternative. 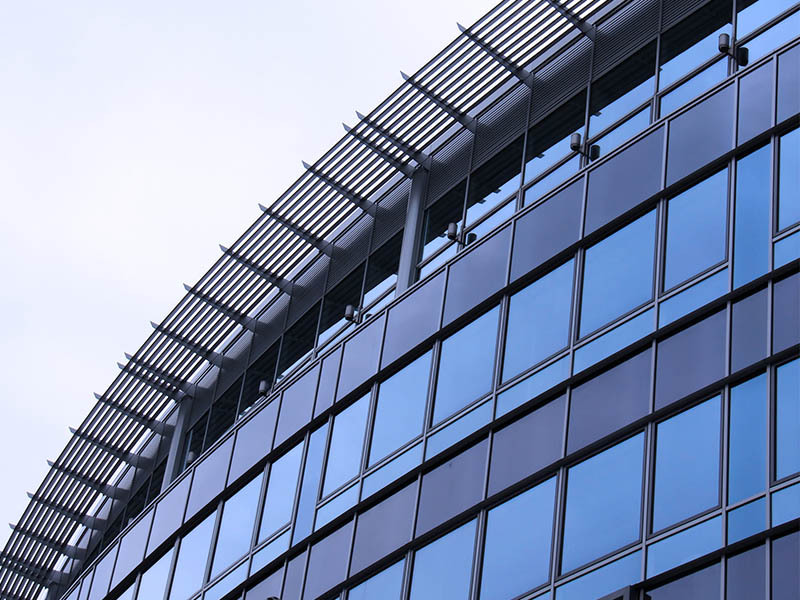 Save energy and reduce greenhouse gas emissions by using a special sun protection film. Certain films can also protect from prying eyes while maintaining a clear view of the outside world. You can also cover larger window surfaces with films of up to 180 cm wide. We would be happy to send you a sample or visit you in person so that you can get a better overview of our colour range and film properties.